This layered PSD file is also included in this package. design elements for your scrapbooks and other projects. 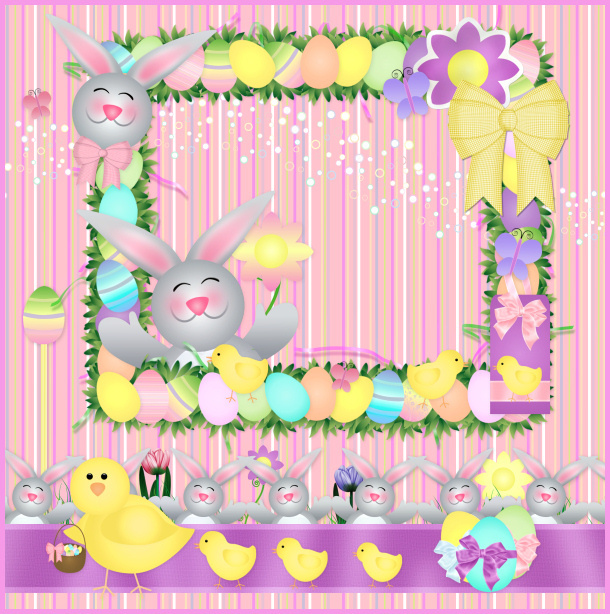 Celebrate spring with this sweet Easter Scrapbook Kit. 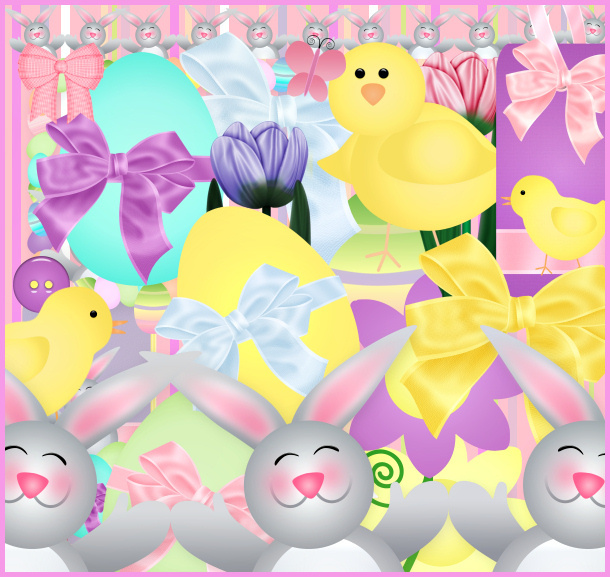 It has numerous mouse drawn images, including flowers, a bunny rabbit, Easter eggs, chicks, egg frames, background tiles, ribbons, bows, and tags–all in soft coordinating pastels. These cute graphics have a bit of a vintage look and will make some really cute designs. It’s a member favorite. This kit also contains a layered PSD starter scrapbook page as seen in the second promo above. There are 166 royalty free, high-quality clip art PNG images included in this package. All of these graphics have transparent backgrounds (except for the background tiles) making it easy for you to use them as tubes or nozzles–or merely to drop into your design. The size of these images varies. All are 300 DPI, making them great for print projects. They can be used for personal or commercial projects, including web design, template design, candy wrappers, scrapbook designs, card making, and numerous other creative projects. See my terms to learn more. This package has been divided into two zip files which are about 53-55 MB each.